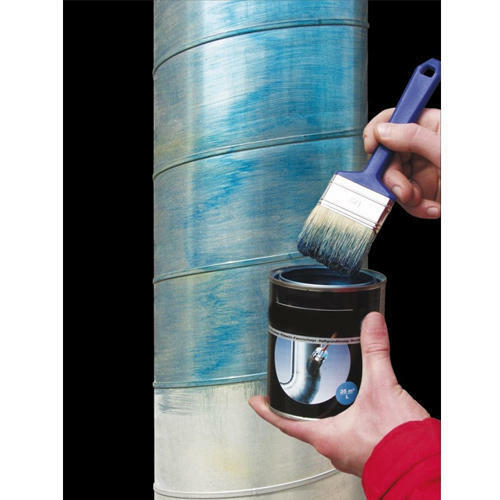 As an esteemed company, we are engaged in manufacturing, exporting and supplying a wide spectrum of Adhesion Primer. These adhesion primers are processed by experts using premium quality chemicals & modern methodology as per the industry quality norms. The offered adhesion primers are available in different customized packaging options as per customer’s requirements. Offered adhesion primers are tested on various parameters so as to deliver perfect range. Established in the year 2006, we, Vetro Sol (Brand Of Mirror Touch), are engaged in manufacturing, exporting and wholesaling a comprehensive range of Glass Paints and Solvents. In our wide range of products, we have Glass Paint, Vetro Sol Nano Coat and Solvent Base Glass Colors for our reputed clients. Provided range of products is processed from high-quality ingredients. Also, we are the specialist in providing basic material for making value added product like stain glass and back painted glass that is call lacquered glass, metallic colors, sparkle colors, airbrushing colors for glass and many other types of products. Apart from this, we are offering the offered products at the reasonable price range in safe packs to cater the individual requirements in best possible way. Our organization is backed by a team of experienced professionals; they are playing the main role in the growth of our firm. We have installed modern machines and tools at our infrastructure facility. Based on their working experience and area of expertise, we have segmented further our main group into various sub-teams to complete the allotted task in a hassle-free and streamlined manner. Owing to the sophisticated facility, quality products, diligent team of professionals, ethical business practices, transparent policies and timely delivery of consignments, we have been able to set up our client-base across the globe. Also, we export our products in Sri Lanka, Bangladesh, UK, and Dubai.